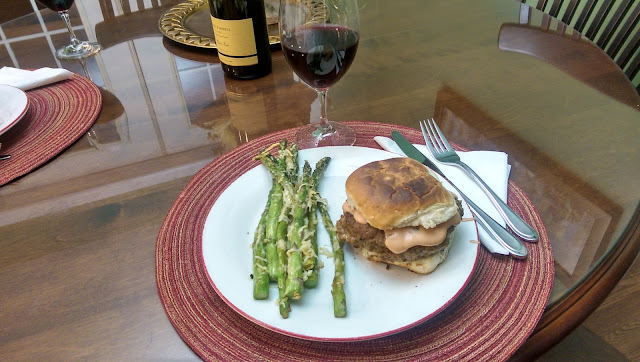 Burgers and Gary Farrell Pinot Noir? When both are this good, certainly. This Meatloaf Burger comes from the ad-free Cooks Country magazine. The recipe blends panko,Worcestershire, ketchup, parsley,egg, Dijon mustard, onion powder, salt and pepper into the ground beef, then tops that with a sauce of mayonnaise, cider vinegar, pepper and ketchup.